I have a confession to make. I have a classic case of procrastination. Although I don’t think that it is simply a case, rather the plague. I did not used to be like this! I have been Type A all the way, but for some unknown reason I feel that I am becoming a world class procrastinator. It is stressing me out to the max! I do have a reason for my confession, if only to make myself feel better I suppose. On April 16, Charity Preston from The Organized Classroom Blog challenged the blogging community. I knew about it then and feel fairly confident that I have completed the challenge yet I’m just now getting around to posting about it on this day May the 7th! It is the 5 Star Blogging Challenge. In order to qualify as a 5 Star Blogger, Charity has five challenges. You can read more about them on her blog, The Organized Classroom Blog. I first began my blogging journey to share my own experiences. I am thankful for this challenge, because it has caused me to reflect on my own purpose. With all things in life, there are times where we may lose focus. This challenge helped to remind me of my true purpose, to share! Thanks Charity for the reminder! To fulfill challenge five, I am to share a great teaching idea. Well, I have an idea and yet another confession. 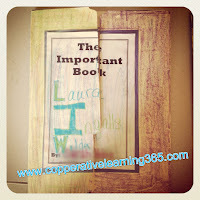 I have wanted my students to make a lapbook. There are so many fantastic ideas on the web. So here is my confession….we did one, but you can definitely tell it was my first!! I think we were lacking in the creativity department. As fourth graders, my students were to research a famous Missourian. We started the project by reading the Important Book by Margaret Wise Brown. If you haven’t read this book, I highly recommend it. It is a great book for teaching Ideas in writing also. While researching, students were to find five “important” things about their famous Missourian. The last would be the most important thing. 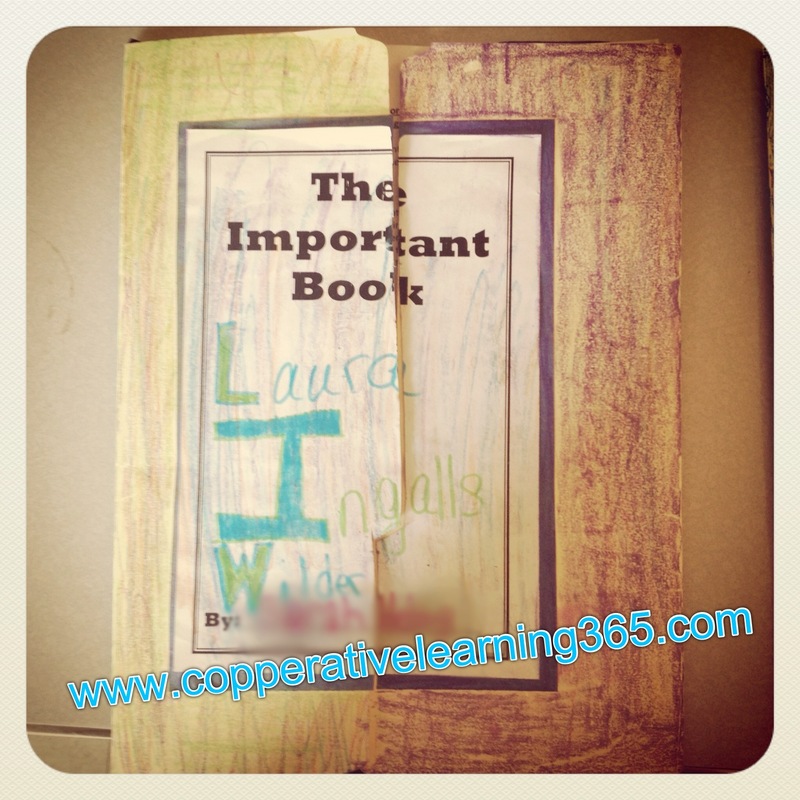 After researching, we started the lapbook. 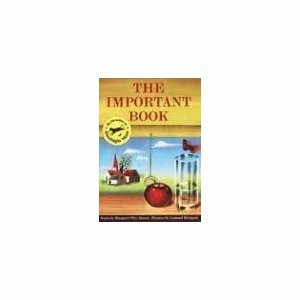 As you can see from the photos, the title was called The Important Book. Inside they had to use one mini book per important thing. You will also find a pocket. This pocket held a printed picture of their Missourian. Now here is the part that I may very well need to tweak for next year, the portrait. These two portraits were by far a couple of the best! Inspired from a Pinterest picture, I thought I would have my students create a picture out of scrap construction paper. Well, we did use the scrap pieces but the creativity was a bit stunted. We learned about 21 famous Missourians in all. Our artwork may have not been out-of-this-world, but the most important thing is that we learned. Right?